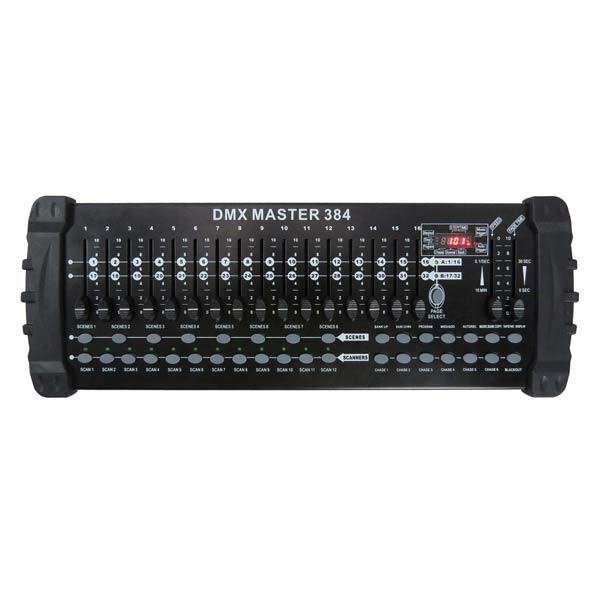 The DMX 384 controller is a DMX hardware controller for lighting effects that are compatible with DMX protocol. It will control up to 12 fixtures whit 32 DMX channels each (384 total channels). There are 30 banks with 240 total programmable scenes. The controller has 16 control faders with 2 page banks. Plus, you can record up to 6 chases with separate fade times and step speeds.